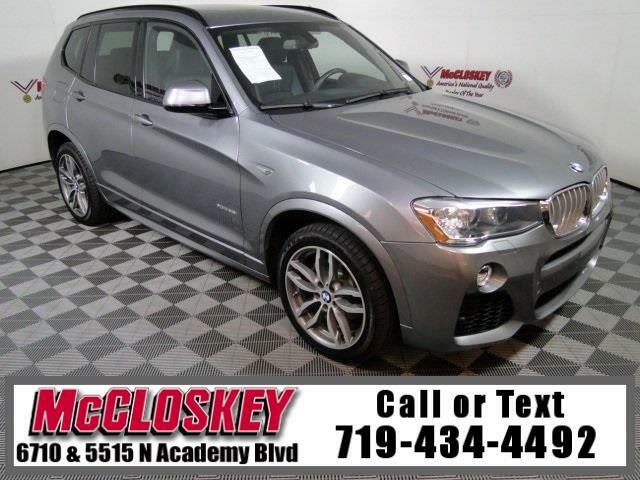 Ride in luxury in this 2017 BMW X3 xDrive with Xenon Headlights, Leather Heated Seats, Lane departure Warning, Harman Kardon Premium Sound System, and Much More! A Premium package is available, adding keyless ignition and entry, front seat power lumbar adjustment, a panoramic sunroof and satellite radio. This package is standard on the xDrive35i, along with the six-cylinder engine (300 hp, 300 lb-ft), adaptive xenon headlights and a 16-speaker Harman Kardon audio system. The X3 scores well when it comes to accommodating drivers of all sizes and making it easy to climb in and out. There's a good amount of room available front and rear.